Striking Canadian Foreign Service Officers have announced that they are withdrawing all services at Canada's 15 major visa processing centers abroad effective from Monday, as The Professional Association of Foreign Service Officers & Treasury Board President Tony Clement could not agree on the terms of Binding Arbitration . 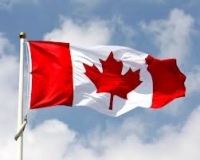 Since April 2013 Canadian Foreign Service Officers were staging rotating job actions at different embassies and visa processing centers at different times, which has slowed down work in all foreign missions , but the work was not completely stopped it. Now in order to increase the pressure on the government to concede the demand of wage parity compared with other Federal Government employees. The Professional Association of Foreign Service Officers said on Friday that Treasury Board President Tony Clement had rejected its offer of binding arbitration because the union wouldn't accept the conditions Clement attached to the offer.